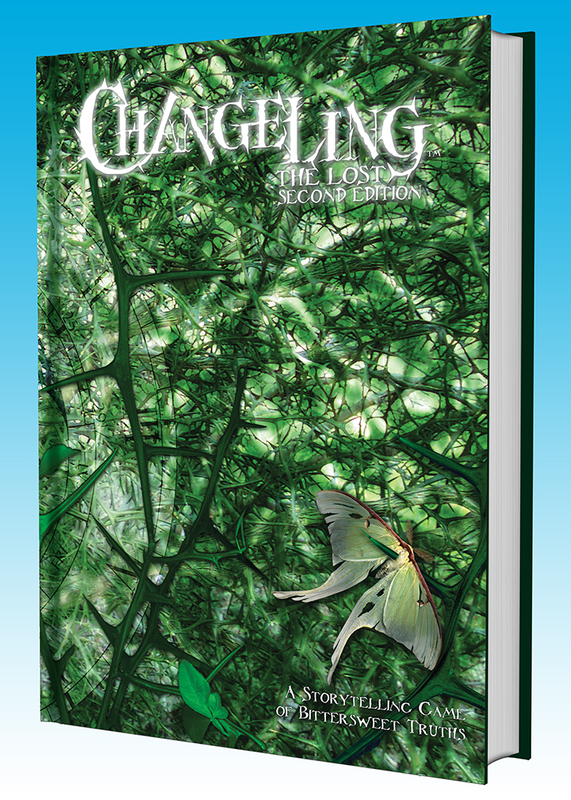 Now on Kickstarter: Changeling: The Lost 2nd Edition! 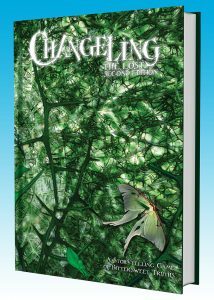 Now on Kickstarter: Changeling: The Lost 2nd Edition Prestige Edition! A Storytelling Game of Bittersweet Truths. We want to create an 8.5″ x 11″ hardcover with a beautifully designed, symbolic cover image printed on a metallic under layer, and featuring an emboss/deboss of the logo. We estimate the book to be more than 300 pages, with a two-color interior and endpapers on high quality paper stock. Join our motley crew as we bring Changeling back from the Hedge on Kickstarter!